We used to cablecast Pony League baseball when I worked at Washington Channels. Other leagues too, like Bronco or Colt. And once we even televised a T-ball game. The little kid swings and manages to knock the ball off the tee. It dribbles in front of home plate. Run! shout the grownups. That way! So the kid drops the bat and takes off for first base while the catcher picks up the ball and, with a mighty heave, sends it into right field. Keep going! shout the grownups. So the kid runs to second base, then to third, while the fielders try without success to relay the ball to the next station. Finally the ball rolls into the third-base dugout, and the kid scampers home to score. Whats the official ruling? Four errors? No way. Theres no erring in T-ball! That would imply criticism of players mistakes. We prefer positive encouragement. The batter, who hit the ball about two feet, is credited with a home run. I suspect that this scoring philosophy is creeping into the big leagues, at least at the games I cover in Pittsburgh. It seems now that many apparently routine chances, though imperfectly handled by the defense, are scored not as errors but as base hits. This makes the hitters and the fielders happy, as it increases their batting averages and fielding percentages. Fielders have long escaped statistical penalization for other mistakes, too. Mental errors such as throwing to the wrong base or failing to back up a play are not scored as errors. Neither are balls that a fielder cant reach because of his limited range. Im not a big fan of fielding percentage as a measure of a defensive players ability, though its the only such official stat we have. But although hitters and fielders may welcome more hits and fewer errors, pitchers are less pleased. A run that results from a hit will count against a pitchers earned run average, but a run that results from an error is unearned and the pitcher is absolved of all guilt. Thirty years ago, 12% of all National League runs were unearned. This season, only 7% are. Over the same period, the ERA of the league's pitchers has risen from 3.74 to 4.21. Notice something? As the decades have gone by, fewer and few errors have been charged, and the Fld Pct has inched closer to 1.000. By the year 2160, Pirate shortstops will be playing errorless ball. Number nine on the list is Honus Wagner, acclaimed as the greatest shortstop of all time, whose first season was 1901. His career fielding percentage was only .940. Another aspect of official scoring may also be changing to favor the fielder instead of the pitcher. 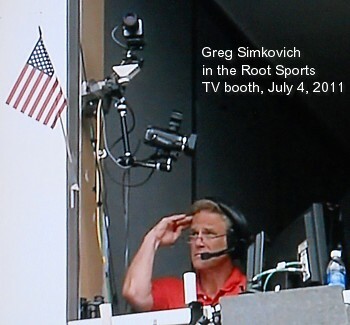 Our stage manager at PNC Park, Greg Simkovich, points out the increasing rarity of passed balls. When a catcher fails to catch a pitch, thereby allowing a runner to advance, there are two possible ways to score the play. Greg and I saw a lot of runners advance this summer. Almost always, the official scorer would announce wild pitch. Sometimes he had no choice; by rule, balls that bounce in the dirt have to be scored that way. But we felt that in at least some of the cases, the catcher should have been able to block the pitch and keep it under control. Are passed balls becoming passé? Major league statistics suggest so. Lets consider all the pitches in this category; some are scored as wild pitches, the others as passed balls. The fraction scored as wild pitches rose from 73% in 1960, to 77% in 1979, to 80% in 2008. Either official scorers are looking at things differently, or pitchers are throwing more uncatchable balls in the dirt.